It is my honor and pleasure to announce the historic Romano family house has just been listed on the National Historic Register! 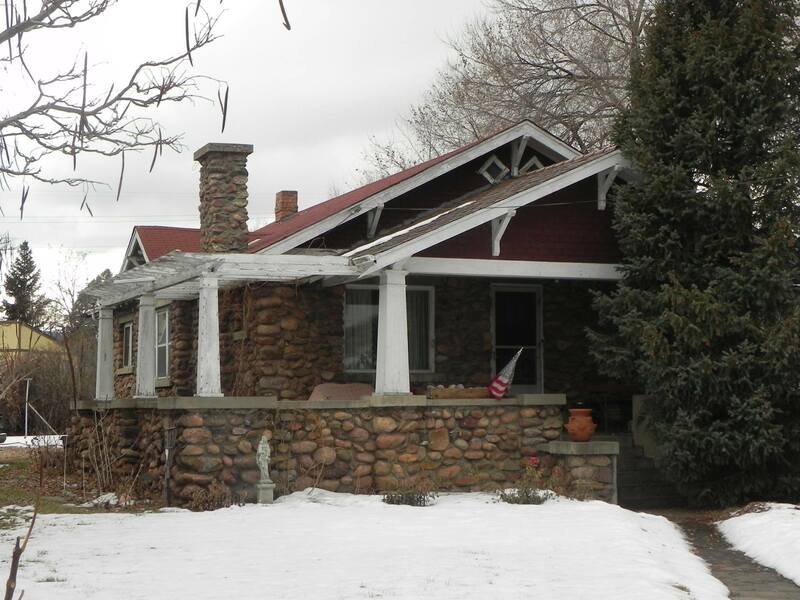 Located at 16300 South Golden Road and familiarly known by its stone arch driveway entrance, the Romano home was originally built around 1924 by Camp George West commanding officer Leo Rundstein, made of fieldstone gathered from its vicinity, of the local architectural movement now recognized as the Golden Rustic. In 1927 it was purchased by Emery and Mary Barlock, immigrants from Budapest and Yugoslavia. Emery John Barlock ran the first cash store in Golden and began raising mink here. In 1929 it became the home of Italian immigrants Samuel and Albina Romano, who that year built their own Golden Market still standing well preserved itself next door (and likely could make the National Register too if its owners so wanted). They operated the store and the La Romana fox farm here for many years while raising their family, as well as such operations as the Fox Trot Inn dance hall and a tenant trading post in the reassembled Boston Company building (itself unfortunately burned down, but its motel court very much still standing nearby). The Romano home, now proudly owned by Judge Sabino Romano, is one of the region’s best preserved historic landmarks, a time capsule of the 1920s inside and out, complete with original trellises, flooring, kitchen appliances, light fixtures, radiators, bathroom fixtures, furnace and more. It is the 2nd Italian-American landmark of Jefferson County to be recognized by the National Register (after the Cabrini Shrine) and the 2nd one in Pleasant View (after Camp George West). Congratulations to the Romanos for their worthy recognition! The Samuel and Albina Romano House was listed on the National Register on September 26, 2016. It was designated as a Jefferson County Landmark in 2003. This entry was posted in historic sites. Bookmark the permalink.